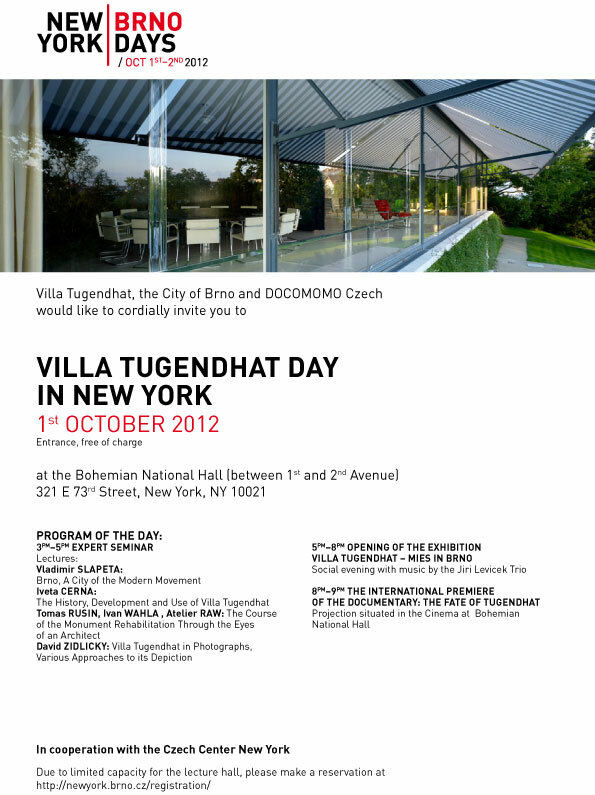 Following up on our previous post: On October 1st, the Bohemian National Hall , at 321 East 73rd Street will host an afternoon and evening devoted to Mies van der Rohe’s recently restored Villa Tugendhat. 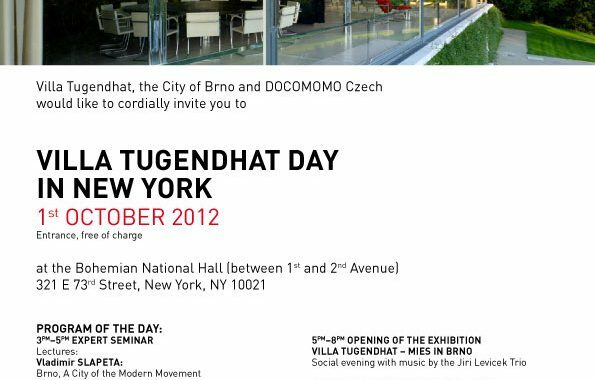 For those who have not had the chance to visit Brno in the past eight months, here is an opportunity to get some sense of this remarkable work of architecture. Iveta Cerana, Director of the Villa Tugendhat, offers unique historical and cultural perspectives on this Modern monument.